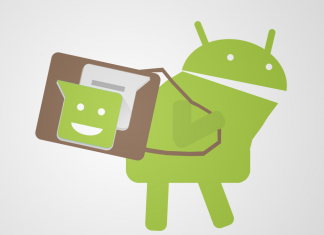 There are plenty of Android fitness apps available to you nowadays. 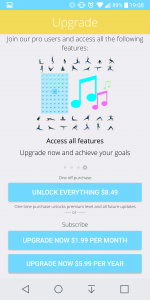 Amongst the plethora of fitness apps out there in the Play Store market is 5 Minute Yoga, from developer Olson Applications, Ltd. Olson also offers other “5-minute”-style apps, including meditation and relaxation versions. 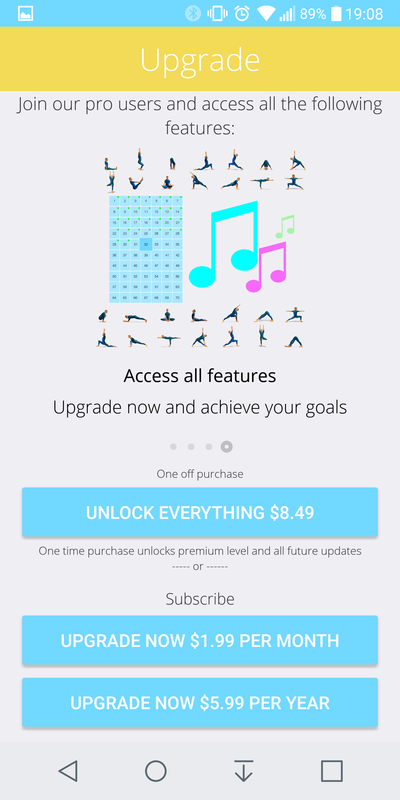 While 5 Minute Yoga is marketed as a free app, it’s more what I’d call a “limited-free” app….I’ll explain shortly. Setup is pretty minimal; simply download from the Play Store and open it up. Upon opening, you have a pretty simple main page. You can choose to dive in right away, or you can go to the Settings menu. 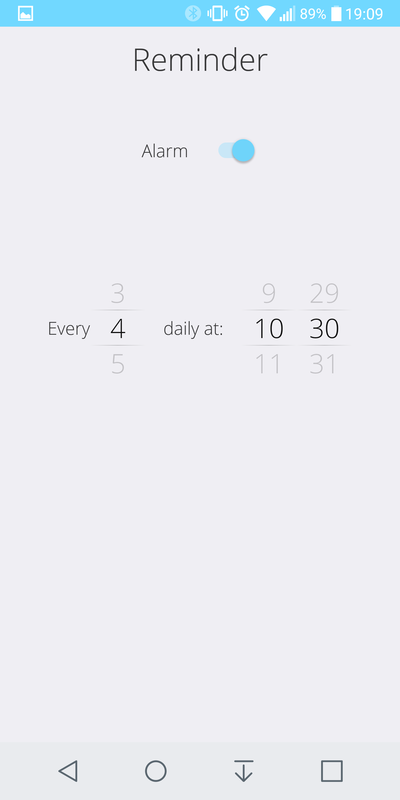 Set reminders for your workouts, choosing the interval (in days) and time of day for your reminder. 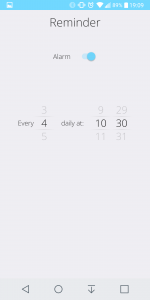 Set a reminder to practice..
Once you dive into 5 Minute Yoga, the simplicity of the interface continues, in a good way. 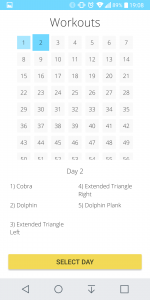 Starting on your Day 1 workout and going forward, you are provided five yoga poses to perform in sequence. Obviously, these start out with pretty simplistic moves, to get you used to it. Moves such as “Big Toe” and “Bound Angle” get you going, giving you a 40-second countdown timer for you to hold the pose. For the less-flexible of us (including me), the app provides an illustrated example the of the pose you’re trying for. When your timer reaches zero, the screen switches to the next pose, waiting for you to push “play” for the next round. You get five total poses, and the total time spent in your workout is a little less than 5 minutes. Then the next day, you’re on to the next set of five poses. 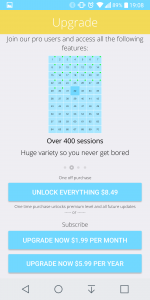 If you noticed some asterisks above, it has to do with the *free part of the app. While the app is indeed free to download and try your first day’s set of poses, after that it is a different story. 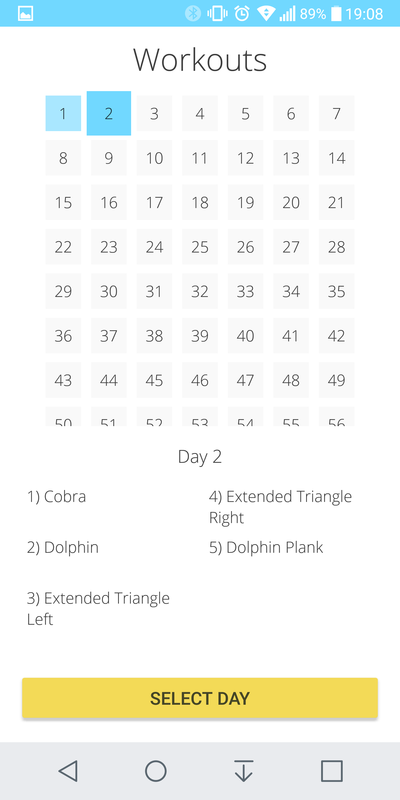 5 Minute Yoga allows the second day of poses, but only if you first tell it where you discovered the app via multiple choice, and post a starred review. Beyond the second day, you can only enjoy 5 Minutes Yoga by being a paying customer. You are given a couple of choices to pay, either by a single lump sum of $8.49, or via a subscription; at $1.99 per month or $5.99 per year. Now granted, there are a year’s worth (365 days) of workouts available; you won’t get bored with the variety anytime soon. 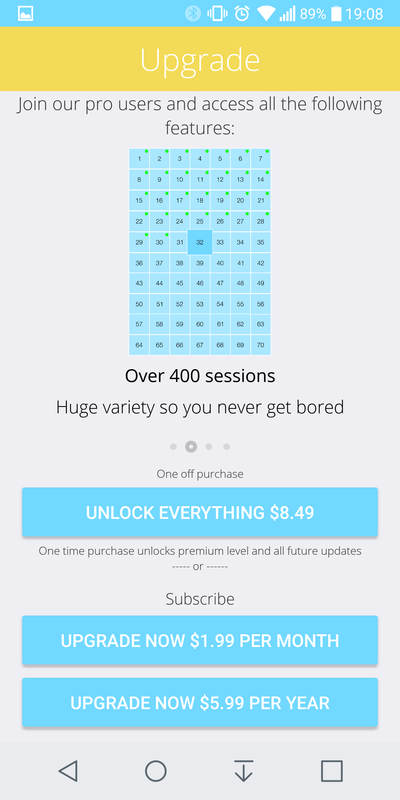 So if you’re not totally convinced about the value in the app, for a minimal cost you can explore further. If you’re looking for an easy intro to some daily yoga practice, with no-to-minimal investment in both time and money, then 5 Minute Yoga could be the ideal app for you to try. It’s simple, attractive, and offers a lot of variety for you and your family. 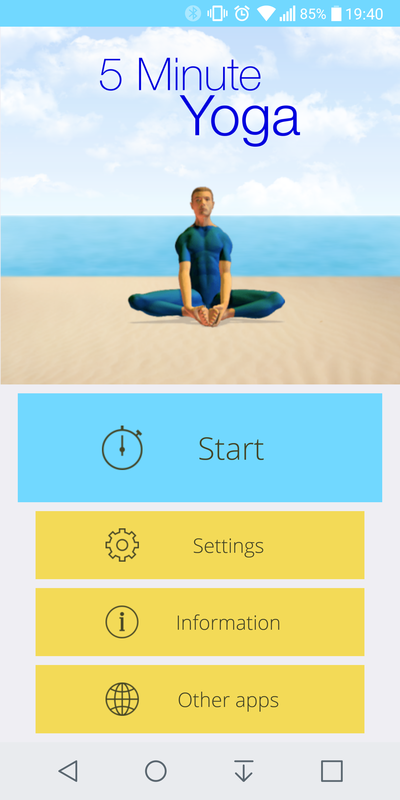 Download 5 Minute Yoga from the Play Store here. 5 Minute Yoga offers an easy introduction to a grand variety of yoga poses, all while providing it in very digestible daily portions.